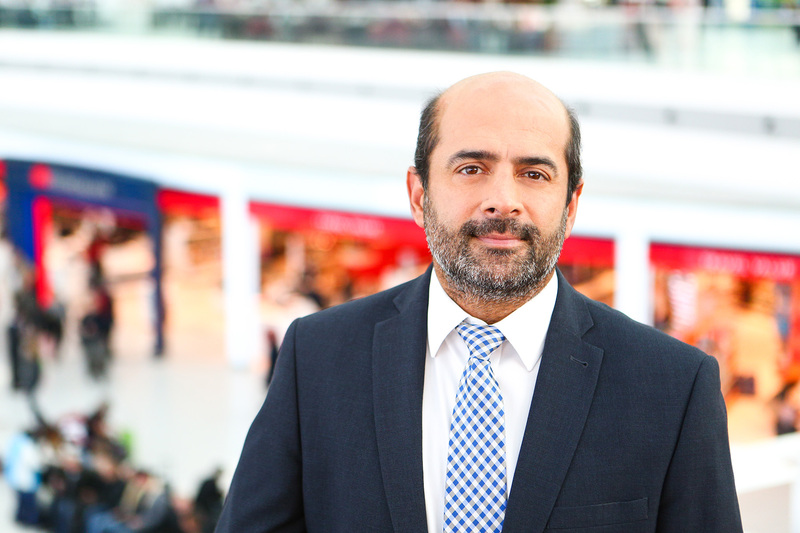 Kam Jandu, chief commercial officer at Budapest Airport Ltd, shares the Hungarian gateway’s interim plans to improve passenger flow before it opens a new terminal, ahead of his presentation at Passenger Terminal Conference 2019. 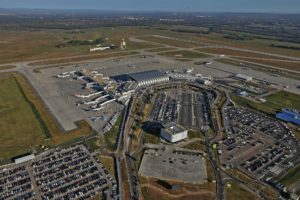 Budapest Airport (BUD) has increased passenger numbers by almost 50% in six years (handling close to 15 million departing and arriving passengers in 2018), but now passenger journeys through the airport are becoming congested. BUD has plans to build a new terminal that will be four years in the making. Therefore, a range of interim measures are needed to handle passengers in a smooth, safe environment. 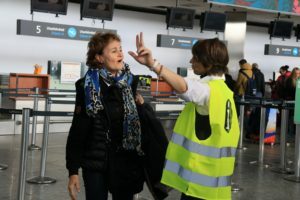 Moreover, passengers need to be made aware of the service enhancements expected and how these will positively affect their experience at Budapest Airport. 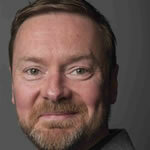 Has BUD suffered bottlenecks as a result of such rapid growth in recent years? Like most airports, you feel bottlenecks in certain areas but not all, because when it is busy at check-in, it seldom is busy at the departure gates, for example. Our challenge is in the check-in halls, which were originally designed for classic operations and smaller aircraft. Given that one of our largest airlines operates 230-seat narrow-body aircraft, there are now more passengers flying than ever before, despite smaller numbers of aircraft. We also have congestion within the security screening areas, which are being expanded to accommodate recent passenger growth. However, the check-in halls cannot be enlarged. The consequence of this is that some passengers arrive at an entrance hall where they can’t tell which queue leads to which check-in counter and they will most likely wait for a very long time before they can pass through to airside. BUD’s airport service quality ratings in this parameter have been declining accordingly, and this is also one of the largest areas of complaint from passengers. How do you plan to improve services? We have just launched a program under the strap line ‘bud:plus’, which includes a number of interim measures such as investments and softer elements which we will be implementing before a brand new passenger terminal is constructed from 2023 onwards. The program will be communicated throughout the media and all relevant channels, as well as within each terminal. A key facet of this program is to introduce three to four uniformed staff members to check-in areas during busy times to provide guidance, support, information and ultimately, comfort, to passengers, ensuring they are served in a more timely and smooth manner. Our expectations are that we can use these softer skills and extra hands on deck to coordinate and deliver a much better passenger experience than last summer. Investments in enhanced passenger security screening and self-service baggage drop-off will also help us to be better prepared for the summer peak. Several sections of the terminal building will be reconstructed and refurbished: after demolition of some offices and storage rooms, the corridor through which arriving passengers access the baggage reclaim hall will be widened by the end of February. The upshot is that the arrival areas will be able to accommodate significantly more passengers. By decommissioning additional operational areas, the baggage reclaim hall will also be extended, enabling the extension of one of the baggage reclaim carousels. In the summer peak, decreasing waiting times and speeding up baggage reclaim will make it possible for the airport to receive 2,000-3,000 arriving passengers per hour. Toilets are to be rebuilt and extended in Terminal 2B as well as the SkyCourt mezzanine, as a result of which their capacity will increase three-fold by the summer. 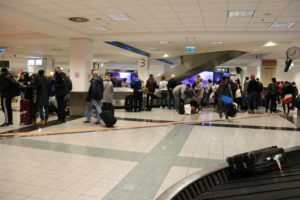 The airport has also recently commenced test operation of a self-service baggage drop-off system on the departure level, enabling passengers to print out their bag tags, in addition to the boarding pass, and check in their hold baggage by themselves – doing it this way is far faster than the conventional baggage check-in process. If the system works smoothly, we plan to expand it to enable the check-in of bags in the car park at the airport, as well as at certain sites downtown such as hotels, and in ports on the Danube. The extension of the passenger security area is already underway: a new screening lane will be added on the A-side and the B-side too, and the waiting area in T2A will also be extended, since part of the café there will be decommissioned. The capacity extension will enable the airport to process more passengers per hour in the peak periods. In addition to the installation of new screening lanes, the customs area will also be extended, as a further measure aimed at accelerating mandatory procedures. Projects in the first phase of the bud:plus program will be completed by this summer, with the airport investing about €20m (US$22.64m) in total until the completion of the new terminal. Kam Jandu, chief commercial officer, Budapest Airport Ltd, will present a paper titled, ‘Providing customer service in a crowded airport’ at this year’s Passenger Terminal Conference, which takes place during Passenger Terminal Expo, 26, 27 and 28 March 2019, in London. Register here for your delegate pass.